We have configured all required backup jobs and there are working. But since today we aren’t able to view/edit the backup job list in VSC. 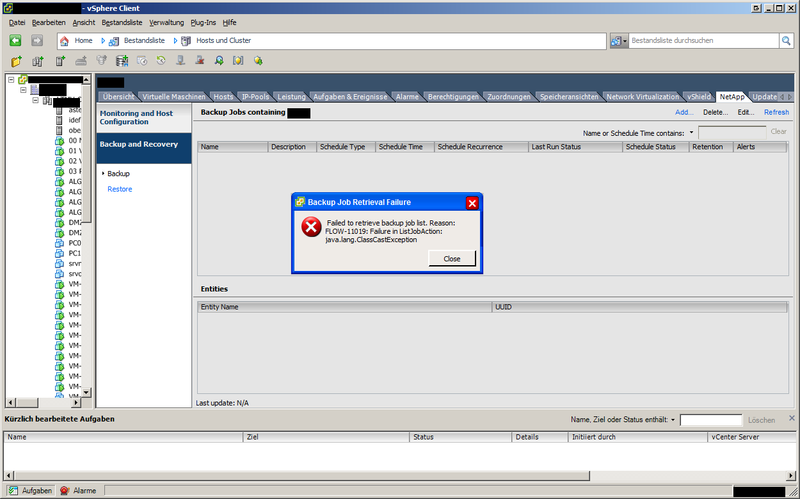 The knowledgebase article describes what to if the Backup and Recovery feature no longer works. In our case the recovery feature works fine and backups were made correct. 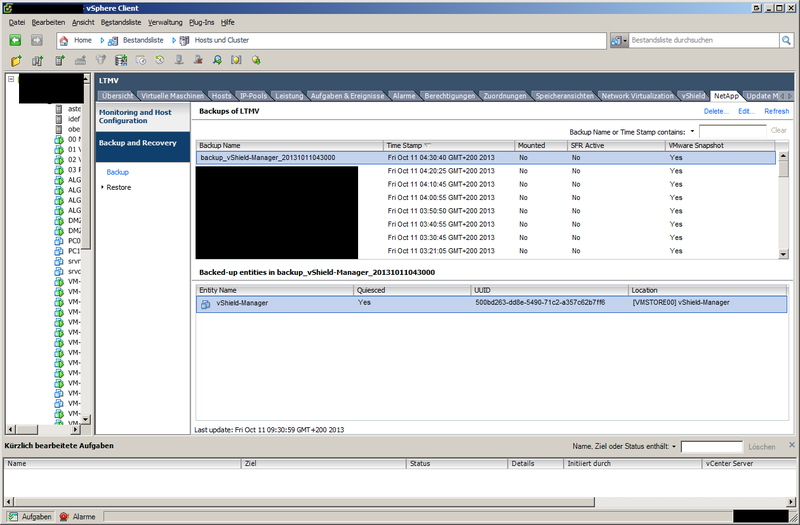 Only the view/edit of the backup scheduler does not work. 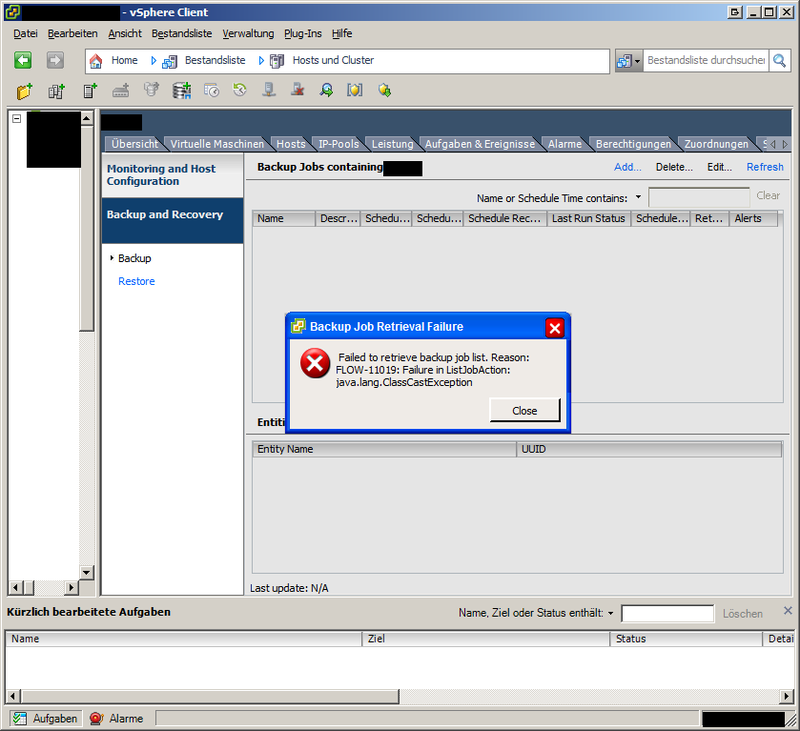 Please check in the backups.xml file if the UUIDs for all the virtual machines to be backed up are listed correctly. Changing the structure of the data store (moving VMs etc ) may change the UUID of the vms. I have the same problem with vCenter Server 5.5 and VSC 4.2.1 in the datacenter view, but i can see all my backup-jobs in the plugin view. With the workaround “plugin view” everything is showed correctly. Seems to be a bug in the datacenter view. same problem here. Problem occurs only in datacenter view. all mappings in backups.xml are correct. Here are two event log entries which are generated each time this error occurs.